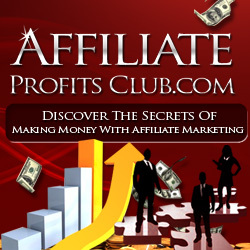 Affiliates have heard that social networking sites are great for boosting affiliate earnings. But they don’t quite understand how to use it to their benefit. Sometimes, they come off as spammy – posting their links on other peoples’ fan pages or worse – spamming their own friends and family. There are several ways you can pursue affiliate marketing on Facebook the right way – and it can be quite lucrative, considering Facebook traffic is continually spiking. You just have to find out how to cater to your target audience on the network. Fan pages are one popular way to pursue affiliate marketing. Anyone can create a fan page, and yours can be for a specific brand or niche topic, like parenting. You’ll want to grow a list of followers on your fan page by providing lots of interaction, tips and yes, links to products they might like. Groups on Facebook are another option. While the pages are usually meant for fans to follow a leader in a niche (or a celebrity, etc. ), a group is for like-minded people to be able to interact. So you could have a parenting Facebook group for Moms of autistic children, for example. You could provide tips for working with autistic kids, and sometimes provide a link to toys that are good for autistic children or a link to an info product about nutrition and autism. You can have public groups or private groups where you extend an invitation and approve members. You might want to consider that option if you’re collecting names on an email autoresponder list and want to give them access as a perk. Advertising on Facebook is popular among affiliate marketers, but you have to know how to use it before you plunk down a substantial amount of money – or even invest a little and lose it all because you didn’t know what you were doing. The thing most advertisers like on Facebook is that you can really target your audience well, and the ads are very inexpensive. Because of the extreme targeting, your conversion rate can be very high. With a Facebook ad, you’ll want to use a mix of images and text to produce a click-through. This is something you can split test and see what works best for your particular audience. You can choose the country, age group, interests and even relationship status – so if you wanted to target single men and promote a course on how to pick up women, you could! Or if you wanted to promote your gardening site to people who garden, your ad could just go out to those individuals.